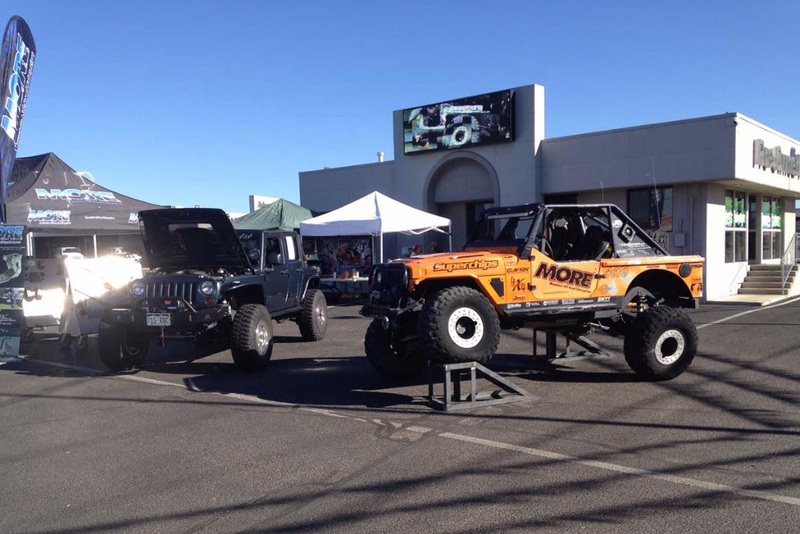 It was an incredible day of 4×4 showing and shining this past weekend in Farmington, New Mexico. Hosted by the Cliffhangers 4WD Club, this year’s annual event was a success with many custom 4x4s, UTVs, and used parts available on display and for sale. Temperatures in the mid-eighties and a cloudless sky made for a great day of fun. Four Corners 4×4 was front and center with M.O.R.E. and Superchips who also helped to sponsor the event. 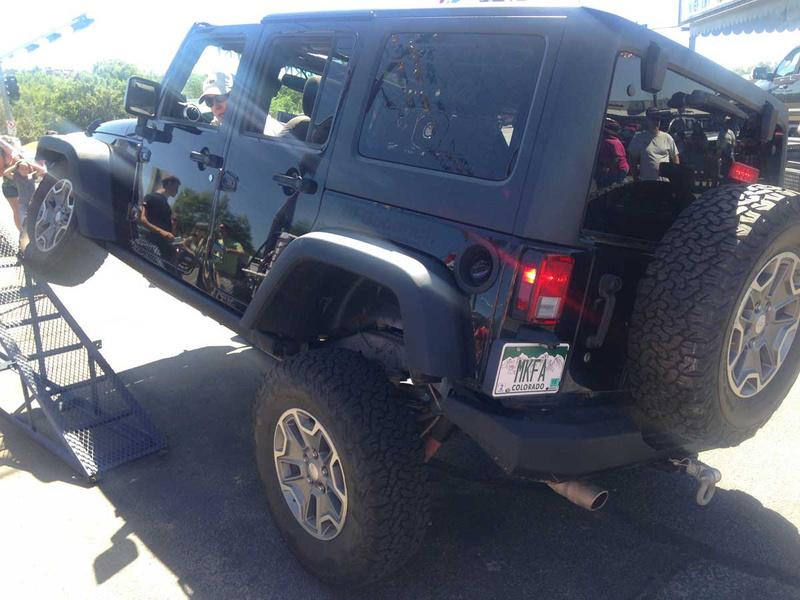 We had the opportunity to take an awesome 2008 4-Door JK to the show. We built this rig for a customer a couple years ago and it’s currently for sale. The impressive build sheet includes a 430 HP Hemi Conversion, Atlas 4-Speed, Currie RockJock 60s, among many other bullet proof upgrades. There was also an RTI (Ramp Travel Index) competition, so Mariah decided to pull the JK up the ramp on its stock suspension. Scoring just under 600 points, our 1” Body lift from M.O.R.E. make just enough room for the 34” BFGoodrich tires. With the end of the season here and fall on its way, we wanted to take a minute and thank everyone on our team by hosting an End of Season Party! We would love to host you and a guest at our home and shop on Saturday, October 3rd starting at 4:00pm. Please come out and join us as we share team stories from the last four years of competition and talk about our plans for 2016. Official 2015 Marketing Partners: Mountain Off Road Enterprises, Superchips, Clayton Off Road Manufacturing, New York Blower, Savvy Off Road, BFGoodrich Tires, Fastenal, DynoMax, MetalCloak, JAZ Products, Tom Wood’s Custom Drive Shafts, Bilstein USA, GoBigBanners.com, 4x4tricks.com, Griffin Radiator,Yukon Gear & Axle, Southwest Appliance, Durango Electrical Services, & Durango Muffler & Brake.